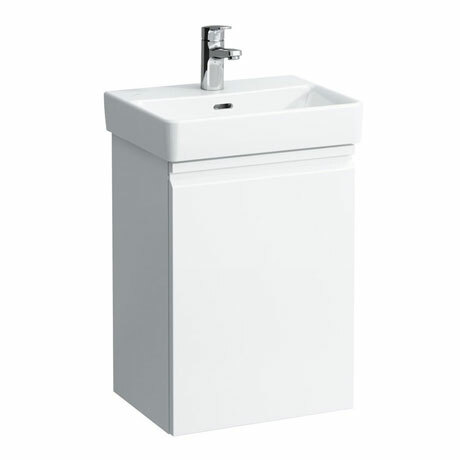 This attractive Compact Single Door Vanity Unit and Basin is available in a Gloss White or Graphite finish. The unit has an integrated handle in the front of the soft closing door which opens from the left. The ceramic basin features a single tap hole with an integral overflow. A right hand hinge opening is also available. All Laufen sanitaryware is guaranteed for 5 years and furniture 2 years.